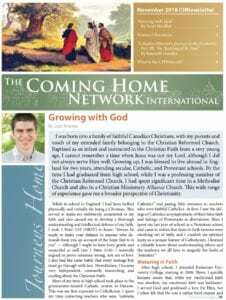 My conversion from Mormonism (Church of Jesus Christ of Latter Day Saints, or LDS) to Catholicism was a bittersweet experience. I am convinced, though, that the events unfolded beautifully according to God’s will. From beginning to end, the story comes full circle. This story takes me home, to a home where I belong. I was raised in Southern California, in a loving family that did not particularly stress the importance of religion. My mother converted to Mormonism when I was a small child, and I occasionally attended church with my mother. 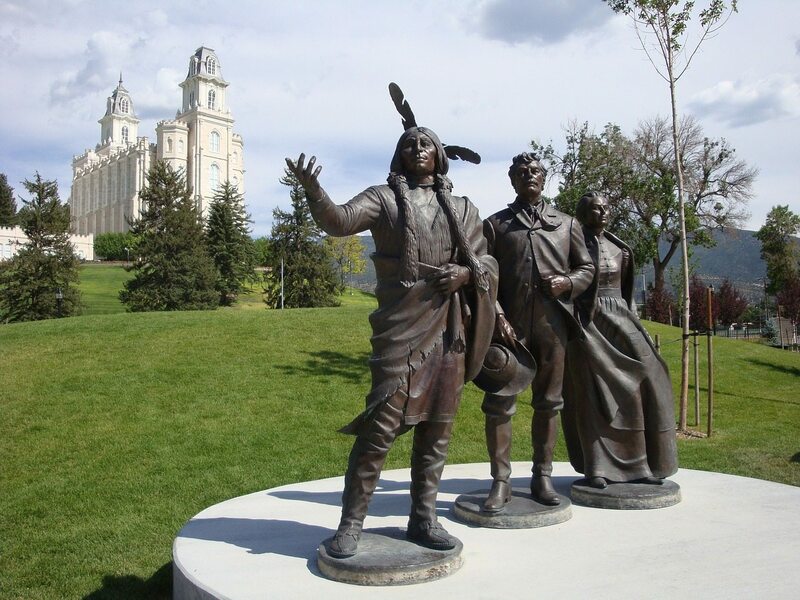 At the age of 17, I was accepted to Brigham Young University. It was at BYU that I became truly converted ​to Mormonism — or so I thought. In hindsight, I believe I was attracted more to the conservative nature of the LDS church. I appreciated the fact that families could be “together forever,” in eternal marriage, and found the LDS Plan of Salvation attractive. It was a sugar-coated story with a happy ending, and at the tender age of 21, it all was very enticing. Upon graduating from BYU in 1989, I was married in the Salt Lake Temple and immediately started my family. We lived in Utah for the majority of our marriage and was highly influenced by the LDS culture there. I seemed to fit the ideal Mormon profile: married in the Temple, four beautiful children, attended the Temple regularly, extremely active in my ward and so on. Later on, I went to medical school at the University of Utah, and while there, logistically distanced myself somewhat from the church. Engrossed in my studies, training, and raising a family, I had to disengage from my usual activities and church responsibilities. When I graduated from U. of Utah in 2007, I returned to the Mormon church on a regular basis. It was at this time that I was able to see Mormonism from a different perspective. As I returned and began to listen to the teachings, something shifted inside of me. I was no longer seduced or convinced by the LDS doctrine, but rather craved the essentials of Christ, His teachings and His word. The journey began with barely perceived but spiritually significant promptings by the Holy Spirit. Looking back, God knew what I needed and supplied it. The draw to stay in the LDS church is supplied by the pressures of family, friends, community, and culture. The promptings that led to my testimony of the fallibility of the LDS church needed to be small but steady, so as not to threaten my conscience that I was being led away by the Adversary. 2. Mormons believe that God was once a man, and God and man are the same species. The belief is that we can create our own planets and become gods. 3. Mormons believe that God is made of flesh and bones. 4. Mormons believe that Jesus Christ was not always divine and that Jesus was once an “intelligence” like us, not always the Son of God. 5. Mormons believe that Jesus Christ is our elder brother, even the brother of Lucifer. 6. Mormons believe the Godhead consists of three distinct beings. This is a small sampling of the discrepancies that I found disturbing after investigating the Bible and its teachings. There are numerous other issues, such as plural marriage in heaven, baptism of the dead, Mormon exclusivity in the Celestial Kingdom, the discrepancies of The Book of Abraham, and the many wives of the early pioneers. This realization was painful and disconcerting. Church attendance produced conflict in my heart and soul for many months as I researched and scrutinized the various teachings. I experienced sadness, disappointment, and confusion as I realized the changes I needed to make in my life. I then spent a year and a half living a double life. I would get ready for church with the family, take two Bibles, drop off my children at the LDS church, pretending I was going in as well. Then I would change Bibles, get in the car and drive to the closest local Christian church, where I would worship and praise the Lord, simply and sincerely. I would then rush back to the Mormon church, sit in the pews with my family and live the Mormon dream — with tears in my eyes. I lived this double life until my oldest son, Austen, was called to the Warsaw, Poland LDS mission. I did not, under any circumstance, want to influence him negatively before his mission, so I kept my double life between my husband and myself. Fortunately, we supported each other in this effort, and my husband eventually decided to join me in distancing himself from the LDS church. Family, friends, neighbors, and people in our ward often wondered why I was becoming less involved in the church and appeared less committed. Mormons are known for their tight-knit, know-everything-about-everybody style. People talked, questioned, wondered about us. We sent our oldest son to Warsaw, Poland in September of 2009 for a two-year LDS mission. Six months into his mission, we received a heartfelt phone call from him stating that he was experiencing great difficulty teaching the LDS religion to the wonderful, committed, and faithful Catholic people in Poland. He shared with us that he does not believe the things he was teaching, yet in fact, he was quite impressed with the Catholic people and their faithful devotion to Christ. He wanted to return early from his mission, and we supported him fully in this desire. He returned, then, only eight months into his two-year commitment, creating questions, concerns, and judgment from friends, family, and ward members. Shortly after my son’s return from Poland, my husband received a job promotion which transferred us to Arizona. We were able to start fresh in a new area, worshiping as we wished. Before leaving Utah, we had discussed the changes in our faith with the three younger children. They became very confused and discouraged. It was a difficult transition for them, but since then they have all accepted this decision and are faithful Christians. The next several years were personally very challenging for me. Shortly after arriving in Arizona, my husband decided to end our 21-year marriage. Within a few months of leaving the church, I moved to a new area, experienced divorce, sent two children off to college, and my mother committed suicide. I lost my mother, my church, my support system, my friends back home, and I felt utterly alone. But I’ve always been a woman of faith, and I continued to be faithful and committed in my relationship with Jesus Christ and to attend a Christian church regularly. There were a few significant voids in the non-denominational Christian church I had chosen. I was not comfortable with the informal nature of worship, the rock-’n-roll style of praise, and lack of regular communion or sacrament. I missed the traditional and respectful nature of prayer, and quite honestly, the relationships and fellowship I had enjoyed in the LDS church. My spiritual journey seemed to have stalled, and I did not know what direction the Lord wanted me to go. However, I knew that He loved me, He would not forsake me, and He wanted to bless me with a full knowledge of truth. There was a period of two years where that full knowledge was not evident to me. I continued to attend church faithfully, worship, pray, read the Bible, all the while offering my heart and soul to Lord, knowing in faith that I would someday be led to His true Church. It wasn’t easy discerning truth from error after leaving the LDS church. LDS teaching is that, if one leaves the church, he can no longer obtain salvation in the highest Kingdom of Heaven and will forfeit his Eternal Exaltation. After much prayer for strength, clarity and peace, I could eventually see a little more clearly, and for this I was truly thankful. Three years after this depressing time, I met (my now husband) John. John is a cradle Catholic; however, he was not actively practicing his religion. I also met two wonderful women friends who were Catholic. It seemed that, everywhere I turned, I was meeting Catholics. Maybe I had my Catholic radar active, but it seemed that my closest relationships were with Catholics. I also vaguely recalled being told that I had been baptized Catholic at six weeks of age. I interpreted these “coincidences” as signs from God to pursue the Catholic Faith and approached the opportunity prayerfully. From that point on, I was increasingly led by the gentle guidance of the Holy Spirit to enter the Catholic Church. My beloved father, who was my rock and my strength, suddenly died in 2013. My father was raised Catholic; however, he had distanced himself from Catholicism for most of his adult life. I believe that, after my father’s death, it was his influence which led me to the Catholic Church. I initially had no intention of becoming Catholic, and in fact had always heard negative things about the Church from my father. My intent was one hundred percent fact-finding and, to be quite honest, I believed that I would eventually disprove the teachings of the Catholic Church, check off the box, and go on to the next denomination in my search for truth. After consulting God in prayer, I decided to sign up for the next RCIA (Rite of Christian Initiation for Adults) session at the local parish, knowing zero about the Catholic Church but carrying a laundry list of questions, child-like curiosity and an eager attitude. I attended RCIA classes with an outward attitude of openness, humility, and an open mind to what might be forthcoming. I clearly hungered after the authentically revealed word of God and any Catholic teaching I could get my hands on. I decided to put my heart and soul into studying and learning about the Church, its doctrine and history. For every doctrine that was taught, I understandably compared it to LDS teachings, and as much as I humbly inquired on the outside, I critiqued thoroughly, and somewhat skeptically, on the inside. I now realize that I was critiquing the doctrine in my head to prove to myself that Catholic doctrine was not correct. Yet with each doctrine taught, I prayed, researched, and prayed some more. The more I studied, researched, and prayed, the more I was drawn toward the Church rather than away from it. The more I questioned the tenets of the Catholic Church, the closer I felt oriented to my True North. This was not at all expected; however, I did not fight it. I embraced the truth as I knew it and had faith that God (and my late father) were leading me home. I was very involved in my RCIA group. We met for two to three hours every Sunday following Mass, and it was a peaceful and wonderful experience for me. After prayerful reflection, I decided to be confirmed in the Catholic Church. At the Easter Vigil in April 2014, I was confirmed as a member of the Catholic Faith at St. Patrick’s Parish in Scottsdale, Arizona. During my RCIA process, I had discussed with my husband the importance of us attending church together on a regular basis as a couple. He agreed and has been very supportive and faithful in his effort and continued spiritual growth. Before I was confirmed, I decided to file for an annulment of my previous marriage. Because I had been baptized Catholic as an infant and married in the Mormon Temple, an annulment was granted on the basis of lack of form. (The Catholic Church recognizes only those marriages solemnized under Catholic auspices for those who have been baptized Catholic.) My annulment was granted in two weeks’ time, and John and I were sacramentally married in October of 2014. Interestingly enough, I also found out that the parish in California where I was baptized is also named St. Patrick’s. Patrick is a popular name in our family lineage. My father’s middle name is Patrick, my brother’s middle name is Patrick, my son’s middle name is Patrick, my baptism and confirmation was performed in parishes named after St. Patrick. Following my father’s passing, I was comforted by the hope that, as a baptized Catholic, he now has the fullness of truth and is with our Lord and Savior Jesus Christ. I also believe that, now that he has the fullness of truth, he has been guiding me from above in my journey to Catholicism. As I look back on my spiritual journey, I can see how everything has come about according to God’s will. As a young girl, I can recall believing in God the Father and in Jesus Christ, my Savior. Although I was not raised in a particular religion, I was always a spiritually minded young lady, continually seeking Him and wanting a relationship with Him. After my conversion to Catholicism, I now feel a sense of completeness such as I had never felt before. I now understand that I don’t have to be perfect to be accepted by my Savior and Redeemer. I now believe that my “worthiness” does not define His love and acceptance of me, but rather it is by His mercy and grace that we are called to be in His presence once again, both here on earth and, afterwards, in heaven. As a Catholic, I am more tolerant of myself and others, knowing that we are all in thing called “life” together, and I no longer have an exclusive claim on heaven because of my religion. As followers of Christ, our claim rests in the fact that we have a Savior who sacrificed His life for us so we can inherit the fullness of salvation. What I love about being Catholic is the fact that I have saints and angels accompanying me throughout life. What I love about being Catholic is that I have Mother Mary by my side, praying with me, and I am most thankful for her presence in my life. What I love about being Catholic is that we have a worldwide community of believers who strive to be more like our Savior, more charitable and more loving, and when we combine the over one billion Catholics across the world, this is a powerful force for greatness. What I love about being Catholic Church is the sacred gift of Communion. The fact that we can honor our Lord by partaking of His Body and Blood is a blessing beyond measure. What I love about being Catholic is the power of its rich history and tradition. What I love about being Catholic is the fact that we worship an almighty God, who sent His beloved Son Jesus Christ as the beacon of perfection and truth. Because of this eternal gift, we can once again appear confidently in His presence. I have “come home” to the truth offered to me from God. I feel at peace with my decision and want to share it with the world. I am committed to serving others — particularly those leaving the LDS church — in their journey toward spiritual growth. Kendra Clark has her Masters Degree in Physician Assistant Studies from the University of Utah and is a nationally Board Certified Physician Assistant. She is the founder of Everything Mother, an organization committed to educating and supporting new parents during postpartum adjustment. Kendra is happily married and is the mother of four children, a proud “Nana” to grandson Asher, and a dog mom to Bauer and Scarlet, both German Shepherds.